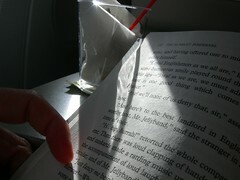 Reading on a plane always feels like pure luxury to me. The Scarlet Pimpernel is delightful. Read it. It’s funny that you are reading the Scarlet Pimpernel on a plane because I read it (for probably the third time) on my plane ride to the Canadian Rockies in August. Who couldn’t love Percy Blakeney?